See also: Rev. Dr. Ruben Saenz, Jr. endoso para el episcopado at http://hispanic.umc.org/news/preview/rev.-dr.-ruben-saenz-jr.-endoso-para-el-episcopado. Rev. 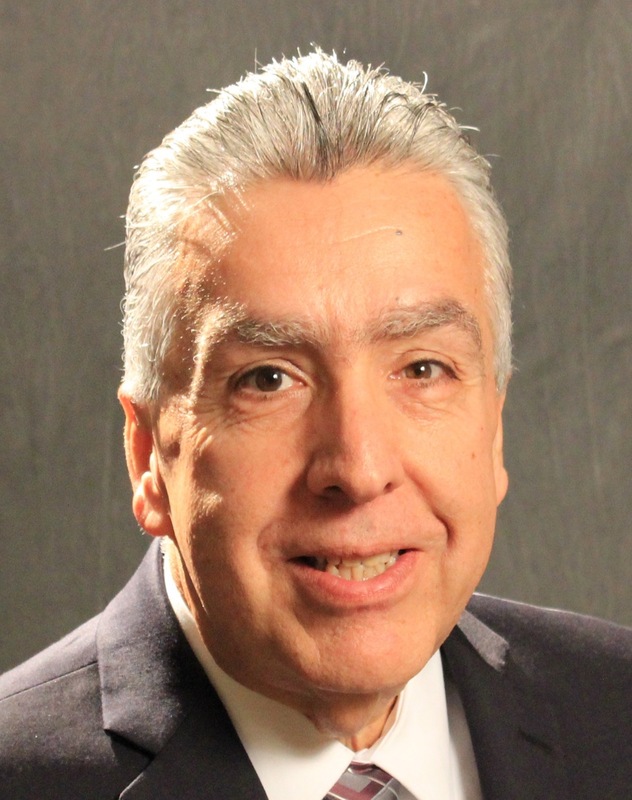 Dr. Ruben Saenz, Jr. was endorsed this week by the Rio Texas Conference delegation to the General and Jurisdictional conferences as an episcopal candidate. Saenz is a well-known missional church leader that has specialized in church development, especially in populations with a Hispanic majority. “We joyfully lift up Ruben for consideration by the jurisdiction. Ruben is well-known across the denomination as a bridge-building church leader, speaker and preacher,” said a statement released by the delegation. The delegation took three-to-four months of discernment and prayer to make the endorsement. The decision was completed on Sept. 17. "Each delegate involved in the discernment process brings their own perspective and experience of these gifts to the discussion; together we discerned that Ruben has the ability for entrepreneurial, transformational leadership with a sense of compassion, joy, and purpose," said General Jurisdictional Conference Delegation Leader Teresa Keese. "He is a visionary who is steady, thoughtful, self-confident yet humble, and passionate about the church becoming spiritually relevant." Saenz began his call to ministry in 1993 after successful tenures in the education and small-business sectors in Rio Grande City, Texas. He graduated in 1997 with a Master of Divinity degree from SMU Perkins School of Theology and was awarded the Perkins Faculty Award for the student who best exemplified the goals and mission of Perkins. He would later receive his Doctor of Ministry Degree from Perkins in 2009. Saenz served as Student-Intern Pastor at Oak Cliff UMC in Dallas from 1995-97. He served his first appointments within the Rio Grande Conference at La Trinidad UMC and El Divino Redentor UMC in El Paso from 1997-2000, where he increased worship attendance by 200 percent over four years. He served as Senior Pastor for El Buen Pastor UMC in Edinburg from 2001-2011. When Saenz left in 2011, the church became known as the largest Hispanic-American United Methodist Church in the country with over 900 members. Worship attendance grew by 150 percent over ten years. Giving increased over 300 percent during both of those appointments. Saenz focused his ministry toward facing the issues of generational, social and systemic poverty in those regions. One of Saenz’s most gratifying accomplishments was the initiative called the “Levantate – Get Up” computer literacy program. The program offered technology courses and resources to single mothers in El Paso who lost their jobs due to factory shutdowns in the United States and relocation to Juarez, Mexico. He helped launch a faith community through trained lay leadership in impoverished colonias. The colonia ministry provided pastoral oversight, worship, faith formation and discipleship, musical instruments and instructions to underprivileged children; as well as free courses on budgeting and family life. Saenz lent leadership to the six-year Rio Texas Conference unification process from beginning to end. As Executive Director of the Mission Vitality Center, he continues the unification work by overseeing the strategic direction and outcome delivery of the conference’s missional objectives for congregational vitality, starting of new faith communities, clergy and lay leadership vitality, uniting peoples, and transforming communities. In 2010, Saenz was appointed to serve as the Southwest Texas Director of Congregational and New Church Development. He helped start 11 new faith communities for the Conference. He held that appointment until 2014. He was named Director of Conference Connectional Ministries and Executive Director of the Mission Vitality Center in January 2015. Saenz looks forward to working with an annual conference to creatively and effectively address critical issues and opportunities for the United Methodist Church. San Antonio Episcopal Area Bishop James E. Dorff, who will retire at the end of August 2016, is pleased with the endorsement of Saenz. If elected, Saenz would serve one of the Episcopal areas within the South Central Jurisdictional Conference of the United Methodist Church. The jurisdiction includes the states of Arkansas, Kansas, Louisiana, Missouri, Nebraska, New Mexico, Oklahoma and Texas. The Rio Texas Conference will be expecting to receive a new bishop September 1, 2016. Bishops usually serve in one area up to two terms of four years each. The jurisdictional conference can grant a third term. Bishops are elected for life and serve in their assignment until retirement.